General John F. Campbell, the Vice Chief of Staff of the United States Army recently recognized SFC David Hack for his contribution to the Army. 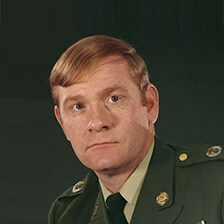 SFC David Hack was the #1 Recruiter in the United States Army from 1969 to 1973. 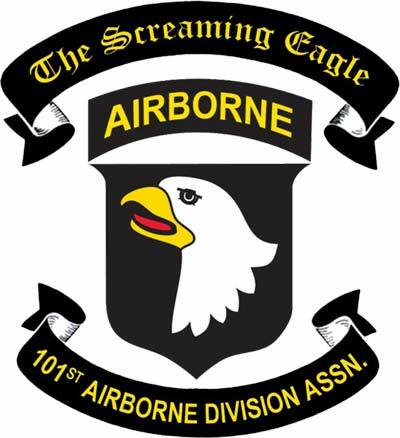 He was the Recruiter of Choice for the 101st Airborne and the United States Army Rangers. Known for his unorthodox recruiting methods, Sgt. Hack averaged 20 Recruits per month during his three years as a Recruiter. 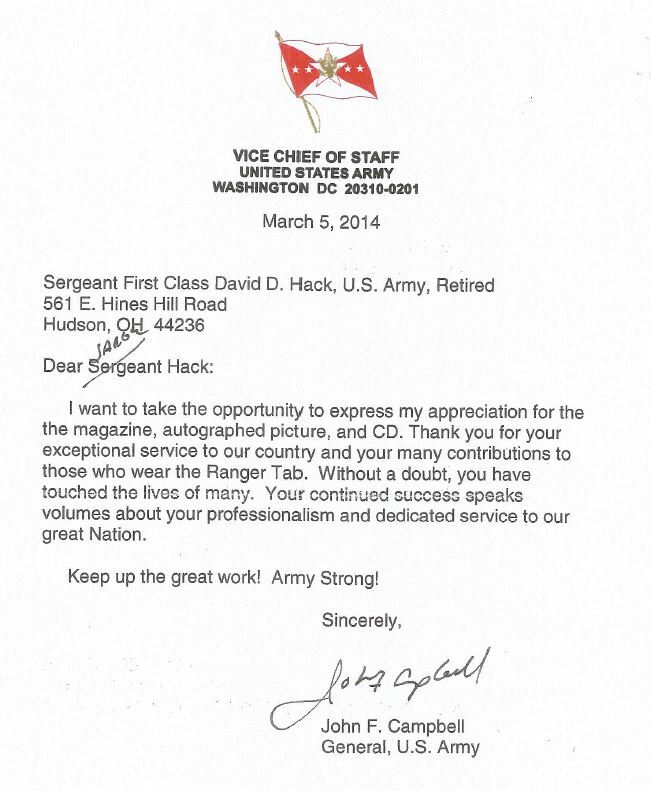 General John F. Campbell commended SFC David Hack for his contribution to the Rangers. 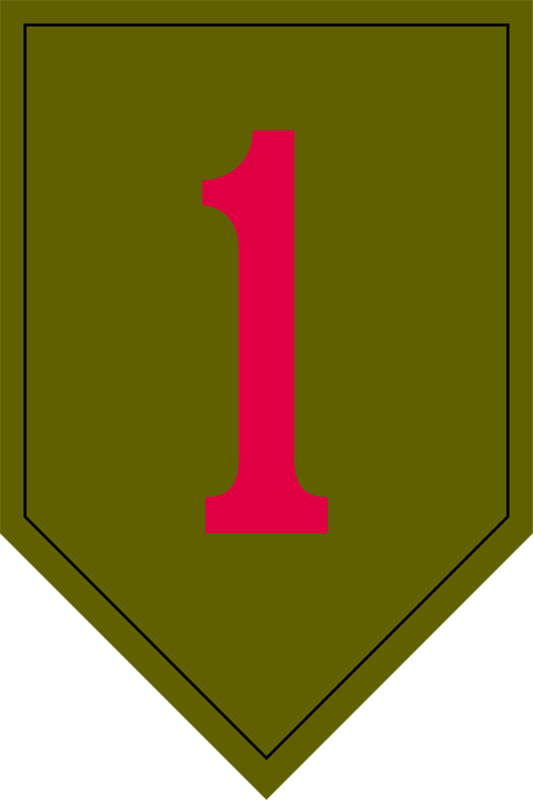 Prior to his Recruiting Duty, SFC David Hack was a Ranger Instructor at Eglin AFB in Florida part of the 1st Ranger Co, 1st Stu Bn. Wounded twice in Vietnam, SFC David Hack returned to the United States and became a Recruiter in Akron Ohio after spending one year at Ireland Army Hospital Ft Knox Kentucky. The Vice Chief of Staff of the United States Army (VCSA) is the principal deputy to the Chief of Staff of the United States Army, and is the second-highest-ranking officer on active duty in the Department of the Army. The vice chief of staff generally handles the day-to-day administration of the Army Staff bureaucracy, freeing the chief of staff to attend to the interservice responsibilities of the Joint Chiefs of Staff. By statute, the vice chief of staff is appointed as a four-star general in the United States Army while so serving. He is the Army’s designated representative to the Joint Requirements Oversight Council (JROC). When the chief of staff is killed or incapacitated, the vice chief serves as acting chief.